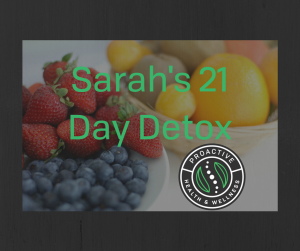 So by now I’m sure you have all the buzz about the 21 day detox. I wanted to do an ongoing post about my personal experience while detoxing. Don’t worry, there’s not going to be 21 individual posts, just a couple along the way to highlight the moment. This is my third year partaking. I’m not going to lie, the first year wasn’t so easy. Something I learned during my second year was that I made a mistake my first year. Year one all I focused on was the food I couldn’t have. Year two I changed my perspective and focus on the foods I COULD have. It completely changed things for me. I am pretty excited to start year three and I hope I can help you with any advice or encouragement you need! Right now, it is the evening of day one. I’m pretty happy with how today went. I did my grocery shopping yesterday so I have my meals for the week planned out. Preparation is absolutely key for the detox. I was dreading my first morning without coffee, but I got to tell you, it was surprisingly easy. About six months ago, I gave up cream and sugar and started drinking it black. That’s not to say I don’t still enjoy the occasional splurge coffee drink with an exorbitant amount of sugar. I just mean my daily morning cup of joe. Making the switch to black coffee has made the transition to green tea remarkably easier. That’s right, in case you didn’t know, green tea is detox friendly. So I made it to the morning of day 7. I got through my first weekend on the detox. Just as thought, the weekend was filled with temptations. I had a pot luck dinner to go to on Friday night and I debated eating beforehand so I wouldn’t be tempted. I should mention that all my friends make delicious food and there is always quite the spread at all our get togethers. I decided that I would find a detox friendly side dish to bring with me and just eat what I brought. I was shocked at how many recipes I found that would work! I ended up making a guacamole and a fruit salad. Everyone knew my husband and I are doing the detox so they were all curious as to what we could eat. By the end of the party, there was not a drop of my guacamole or a single piece of my fruit salad left. Everyone loved the detox friendly food! I’m not going to lie, all the other food was tempting, but since I came prepared, I was able to fill up with clean eating, keep myself focused on why I was detoxing, and I was sure to plan the next get together in a few short weeks, after the detox is done, so everyone can make all the same food again. I want to talk a bit about the changes I have noticed this past week. I really thought the no coffee thing was going to be hard. Honestly, I woke up this morning and actually forgot to make my green tea because I was so well rested and refreshed. I pretty much always have at least one blemish on my face and it has been nice watching them disappear. I have also noticed my clothes fitting differently. I don’t think it’s because of weight loss (although the number on the scale is definitely going down and that is quite nice) but I think it’s more the blote is disappearing. I can even notice that in my face. I just don’t look as “puffy” anymore. One of the changes that I am most excited about is one that I wasn’t expecting. When I was about 16 years old, I sprained my ankle very badly. It wasn’t broken, I got the x-ray to prove that, but I was in an air cast for a few weeks after. My ankle has never been the same since. It pretty much always hurts and causes me to limp after I have been walking for a while. I can’t really stand on my tip toes because that ankle can’t support me. I noticed two days ago that my ankle wasn’t hurting. I tried to to stand on my tip toes and it was the first time in years I could do that pain free. I knew the detox would help with inflammation in my joints but I was shocked at how quickly it worked. Even my husband noticed that I don’t limp anymore. Clearer skin and losing weight is great and all, but living pain free is amazing. Right now it is the morning of day 15. Now is the time in the detox where you may or may not have had a moment of weakness and momentarily slipped off track. I want to be the one who tells you, that’s OK. A little slip up is not going to ruin your detox. Every single good decision you have made is leading you toward better health. Try not to focus on anything negative that may have happened and focus on all the wonderful changes happening to your body and mind. In addition to the changes I mentioned before, I have noticed my habits are changing. Two of the worst habits I had pre-detox were snacking as I was cooking dinner and finishing what was on my kids plate after dinner. As I’ve said before, one of the keys to the detox is being prepared. By bringing enough food and snacks with me to work, I’m not starving the second I walk in the door when I get home. This makes me able to get dinner ready without grabbing the bag of chips and snacking while I am cooking. Also, doing the detox has taught me to recognize when I am full. Sounds like such a simple concept and it’s one we have heard a million times, but it is so very true. I had a very bad habit of eating food simply because it was good and I love food. I still continue to enjoy food, I have just learned to savor individual bites rather than feel like I need to eat as much as possible. Pre detox, I always left the dinner table stuffed and uncomfortable. Now I have learned to take time eating and I can recognize a healthier time to stop eating and save the rest of my food as leftovers. I have learned that when the food is good, it’s better to save some and enjoy it again tomorrow rather than eating as much as possible in one sitting. This is day one post detox. I did it! I know that I can have “whatever I want” for breakfast but I really think I’m going to make a smoothie. In a way, this is kind of the idea behind committing to the 21 days. Habits are both made and broken in 21 days. Throughout the detox, you have both broken bad habits and made new, healthy habits. Even if you haven’t been one hundred percent strict with the food, if you carry over one positive habit, your detox was a success! Something as small as reading the label of food in the grocery store can have a huge impact on your health. Choosing an orange for a snack at 3:00 in the afternoon rather than something salty puts you in the right direction. So often we beat ourselves up after one tiny bad decision. We forget to celebrate every good decision we make! I hope that you enjoyed hearing about my detox. If you have been considering trying it for yourself, I hope this gave you some insight. We are always here if you want to chat a bit and if you have any questions you want answered. This is such an awesome way to kick start a new, healthier lifestyle!